Established in 1931 by Clif Calvin and Joe Traylor, our company has grown to a full service insurance agency. 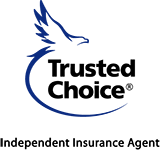 Currently, CEK Insurance serves the insurance needs of about 8,000 individuals and families, and the insurance needs of 6,000 business concerns in NE Kansas and NW Missouri. Our office includes state-of-the-art computerization and rating systems for record keeping and cost comparisons of the country's finest insurance companies. 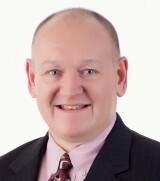 Mark Buhler joined CEK as a sales agent in 2011 after extensive careers in real estate and banking in Lawrence. Mark has lived in Lawrence since 1958; he attended Lawrence Schools and is a graduate of KU. Mark has a long history of community service and has served Lawrence and Douglas County on the Planning Commission, The Douglas County Commission and the Kansas Senate. Mark and his wife Marsha have 3 grown children and enjoy traveling and outdoor activities. 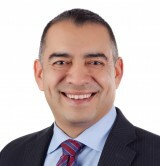 Justin Cordova began his insurance career in 2002. He writes in both personal and commercial markets. Justin grew up in Lawrence and is a graduate of Lawrence High and the University of Kansas. He serves the Lawrence community in many different leadership positions. Justin and his wife, Loree, enjoy involvement in their children's activities and schools. 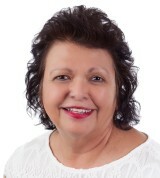 Tracy Cullers has been in the insurance industry since 1985 and joined the CEK family in 2001. She handles group employee benefits including: health, dental, short term, long term disability and retirement programs. Tracy also handles commercial and personal property and casualty insurance. Tracy is a Certified Insurance Consultant (CIC), Chartered Benefits Consultant (CBC) and Registered Health Underwriter (RHU). When not working, she enjoys spending time with family, friends and with her dog Lexie. 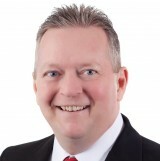 Chris is an accomplished Sales Producer who began his insurance career in 1988. 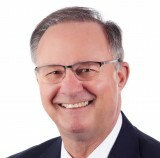 He has been a Lawrence resident since earning a Bachelor’s Degree from University of Kansas in 1986. He has extensive background in commercial insurance and is a certified work comp advisor. Chris has served on several charitable organizations and volunteers at his local church. Chris and his wife Jalon have 4 children between them. Chris enjoys boating, golfing and hiking in the Rocky Mountains. Tom Karasek started his career at CEK in 2000. Tom is a sales agent who handles personal and commercial insurance. He is a Certified Insurance Counselor (CIC). He enjoys golfing, swimming, jogging and spending time with his wife and two children. 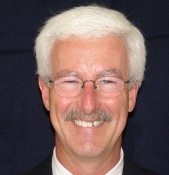 Marty Yost joined CEK in 2009 and services as the agency's Operations Manager. 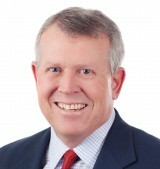 Marty began his career in the insurance industry in 2004. He holds a bachelors degree from Kansas State University in Business Finance. When not working, Marty enjoys spending time with his family, working on his lawn, gardening, spending time in the outdoors and watching his daughter's sporting events. Marty is also active in his church on the Membership Committee. 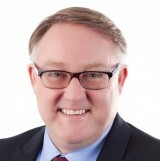 Frank Alexander is a sales agent for commercial, personal, life and health insurance. 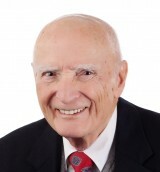 He has been working in the insurance industry since 1961. 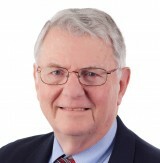 Frank is a Chartered Life Underwriter (CLU) and a Chartered Financial Consultant (ChFC). He enjoys golfing, fishing, hunting and square dancing with his wife Betty. Shelby Bean is a personal lines Customer Service Representative (CSR). 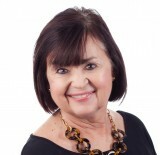 She has been working in the insurance industry since 1957 and has been with CEK Insurance since 1989. 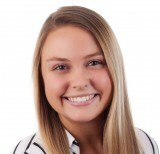 Shelby is a Certified Insurance Service Representative (CISR) and an Associate in Underwriting (AU). She services personal lines accounts and handles personal lines claims. Shelby is a graduate of The University of Kansas. She enjoys traveling and spending time with her grandson. John Catlin came to CEK in 2017 after working as a financial advisor. He grew up in Lawrence, graduated from Lawrence High and attended the University of Colorado before graduating from KU. He is active in the Lawrence Community, working with several organizations. John and his wife Kelley enjoy all things Lawrence and spending time outside with their two sons. Amy is an Account Manager for personal lines. She joined the CEK team in 2018. 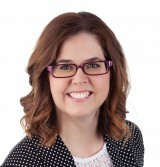 Amy has an extensive background in Real Estate, Finance & Corporate Training. She, her husband and 4 children moved to Lawrence in 2011 and have fallen in love with the Lawrence community. In her free time Amy enjoys traveling, cooking, spending time with her family & serving in her church. Gay Hadl is our receptionist. She has been with CEK Insurance since 2002. She enjoys traveling with her husband and also likes gardening, sports and spending time with her animals. 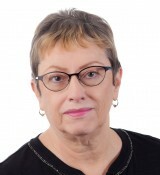 Pam Hadl is a personal lines account manager. 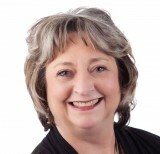 She brings over 30 years of insurance experience to CEK and is a Certified Insurance Service Representative (CISR). 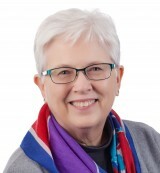 Pam has three grown children and their families that she enjoys spending time with, including four grandchildren that she loves being involved with and teaching them how to bake. Their specialty is sugar cookies. Debbie Haley is a commercial lines Customer Service Representative (CSR). She has been working in the insurance industry since 1995. Debbie enjoys gardening and keeping up with her twin daughters. Lora Howard is a commercial lines Account Manager that joined the CEK team in 2018. She has been working in the insurance industry since 1990. She and her husband Brad enjoy traveling when they can, rock crawling in their Jeep, and spending time with their kids and four grandchildren. Pat Huebner is a commercial lines Customer Service Representative (CSR). She has been working in the insurance industry since 1996. When not working, she enjoys spending time with her daughter, gardening, sewing and chasing her 2 cats. Pat is also an avid Green Bay Packers fan! April Hummel is a personal lines account manager. She began her insurance career in 2005 and joined CEK in 2015. April is licensed in Property & Casualty as well as Life and Health insurance. When not working, April enjoys spending time with her three daughters. Nadine Hyde joined CEK in 2014 as the agency's bookkeeper. Nadine enjoys time with her family, friends, and volunteers in various Lawrence groups and in her church. Most importantly she is an avid KU basketball fan. Rock Chalk Jayhawks! 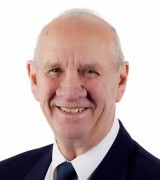 Norman John began his insurance career in 1984. He managed an agency for 20 years. Norman's insurance experience enables him to provide personal, conscientious service to his clients. Norman and his wife Doris enjoy spending time with family and friends and traveling, especially spending time in Branson Missouri. 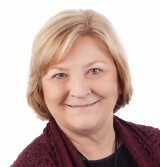 Dana Laudick has been a licensed CSR since 1972 working primarily for independent insurance agencies. 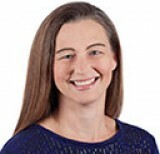 She primarily works on commercial lines and workers compensation claims. She has two grown sons and enjoys gardening and boating. 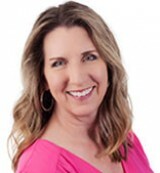 Tami McFarland has been in the insurance industry since 1999 and joined the CEK team in 2017. 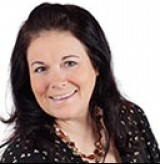 Tami is the Personal Lines Manager and is licensed in both Property & Casualty and Life & Health Insurance. She also has extensive experience in Commercial Insurance. Tami enjoys spending her free time with family & friends, watching KU basketball and also helps coach her daughter’s competitive softball team. Tami has two sons and a daughter. Crystal joined CEK in 2018 as a Personal Lines Account Manager. 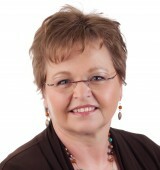 She is licensed in Property & Casualty Insurance and has aspirations of becoming licensed for Health and Life as well. She lives in Baldwin City with her husband, two daughters, and their 3 dogs. In her free time she enjoys spending time with family and friends, playing at the park with the girls, fishing, and indulging in her secret pastime of watching Hallmark movies. Amy Novotney is a commercial lines account manager. 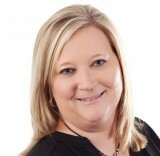 Amy has experience in trucking, personal lines & marketing. She began her insurance career in 2001 and joined CEK in 2018. When not working, Amy enjoys her involvement in her children's activities and schools. Mike Willoughby has been a resident of Lawrence since 1986. He also entered the insurance industry in 1986 and is a Certified Insurance Consultant (CIC). Mike spends much of his free time volunteering on community projects and coaching youth athletics. 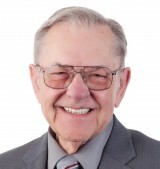 Joe Baker - retired in 2015 from CEK after 39 years with the agency. 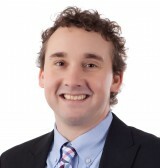 TJ Brennan started his career in the insurance industry by joining CEK in 2005 as a sales agent. He provides personal lines, commercial coverage, life insurance and bonding for his clients. He specializes in the automotive garage and dealer market as well as the construction and contracting industry. 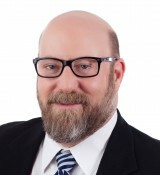 He holds a bachelor degree in Business from Southwest Missouri State University and he began to assist in overseeing the Gladstone office in 2015. When not working he enjoys being outdoors and spending time with his wife and two children. 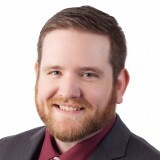 Eric Armstrong is a Personal Lines Account Manager. He began his insurance career in 2012 and joined CEK in 2016. Eric enjoys spending time with his family and friends. He also loves target shooting, playing guitar, and is an amateur blacksmith. Alyson joined the insurance industry and CEK in 2016. She is working in both the personal lines and commercial lines departments. In her free time, she enjoys traveling, being outdoors, and spending time with friends, family &amp;amp; pets. Joe Dold is a sales agent for commercial and personal lines insurance. He has been in the insurance industry most of his life and owned his own agency for 20 years. He is a Certified Insurance Counselor (CIC). Joe is very active in the Mid-America Games for the Disabled and is a member of the board of directors for the National Disability Sports Alliance. Donna Dunlap started her Insurance career in 1989 working on Commercial Accounts to include Physicians, Hospitals, Aviation and Construction. She holds both the ARM and AU insurance designations. When not working she enjoys spending time with my family, volunteering at my church, and helping find safe, loving homes for abused animals. 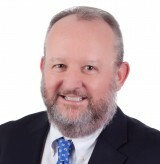 Robert Goodmon joined CEK Insurance in 2018 after 12 years with Liberty Mutual Insurance. He is looking forward to sharing with you the complete range of affordable and comprehensive programs available with CEK Insurance. He has lived in the Kansas City Northland for over 20 years. Robert and his wife Amy have three children so he know the importance of an assessable insurance agent with your family's best interests in mind. Please contact Robert to learn more about our complete coverage plans designed to protect you, your home, and your automobiles. Robert enjoys spending time with family and attending/coaching school activities. Charlie started in the insurance industry in 2013 after 30 years as a chef and food broker. His wife worked for 25 years in insurance but passed away leaving him little knowledge of their own coverages. Charlie’s self-education drove him to want to help others understand their insurance. Life insurance is Charlie’s passion but his is versed in all lines of coverage. Whether for individuals or business partners, life turns on a dime and does not discriminate. Charlie has his CISR and PLCS designations and is working on his CIC. Mary Lancaster is a licensed commercial lines Customer Service Representative (CSR) and has been working at CEK since 1993. She delights in spending time with family and friends, especially hosting Sunday dinner. Mary is active in her church, enjoys her families' pets, sports and outdoor activities. Dave entered the insurance industry in 1971. He is an Army Veteran and is Immediate Past Chair of the Northland Regional Chamber of Commerce. 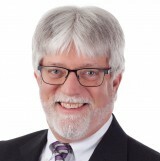 Dave serves on the Board of Northland Neighborhoods Inc, the Kansas City Board of Parks & Recreation Commissioners, and Clay County Parks Board. Dave stays busy spending time with his granddaughter Allie, camping, canoeing, golfing and traveling. Charmie Robison began her insurance career in 1976 in the personal lines department. She switched to commercial in 1980 and worked her way up in the ranks, performing marketing and customer service for a broad base of clientele. Charmie will be marketing new business for the agency. When not working, Charmie enjoys all things related to soccer and loves a good book! Charmie and her husband Darren have two children (a daughter and a son) and a granddaughter. 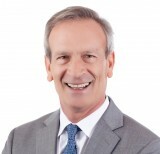 Mark Tomes retired from CEK in 2019 after 31 years with the agency.